YouTube launch paid subscriptions: Don't worry free content won't disappear! Over the past few weeks we've known that YouTube are busy working on the paid options for channels, but we weren't necessarily expecting it quite so soon. Nonetheless here we are with a brand new paid subscription model on your favourite streaming network! At the moment though things aren't necessarily just your typical YouTube stars, instead they're the sort of shows which you would normally see on TV. Among the current line-up there's mostly children's television shows; things like Jim Henson's Family TV, National Geographic Kidsand Sesame Street, along with a sports set which includes UFC Select and TNA Impact Wrestling amongst other things. There's also the more unique things like comedy, documentaries, Spanish TV shows, LGBT and just for the giggles there's a woodworking channel which you can pay to view too! Naturally YouTube doesn't expect you to pony up your cash for nothing. On every channel there's the option of a 14-day payment free trial and then you can choose to pay yearly or monthly, obviously the latter will work out cheaper in the majority of cases! When it comes to TV series such as Sesame Street then you can choose to watch per episode or you can pay for the full season. These new premium channels aren't necessarily something to be too concerned by, we won't lose the ad-supported channels, but some YouTubers may choose to offer people ad-free viewing through subscriptions at some point in the future. 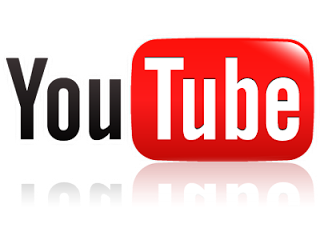 YouTube will also ensure that it's only the very top 5% of popular content on the network which is allowed to offer paid subscriptions. The best way to think of this is how the Financial Times and Wall Street Journal charge to see their premium articles, this is very much the same. If you're interested in the first few paid channels then you can check them out here! And don't be afraid to let us know your thoughts in the comments below!